Das Hotel ist in einer kleinen Bucht nur ungefähr 10 Gehminuten vom Zentrum Umags gelegen. Zum Flughafen Pula sind es rund 85 km.Das einfache Gasthaus bietet 93 Zimmer und eine angenehmer Atmosphäre. Zu den weiteren Einrichtungen zählen eine Empfangshalle, ein Friseursalon, ein Restaurant, Konferenzeinrichtungen.. Location. Maistra Resort Funtana is located on the beach in Funtana and local attractions include Sveti Nikola, Trg Marafor, and Basilica of Euphrasius. Other points of interest are St. Euphemia's Church and Trg Valdibora. Resort Features. This Funtana property has a private beach. Dining options at.. Luxury villa with pool and garden ,one of the most beautiful villas in Croatia offers accommodation for 6 people in three rooms. At approximately 5000 square meters in this gorgeous holiday house. Paradise for family holiday, spacious and modernly equipped villa with apartments /air conditioning and satellite TV,sea view. The club resort comprises a total of 96 apartments. Guests are welcomed in the lobby, which offers a 24-hour reception and a newspaper stand. There is additionally a car park for those arriving by car, while all guests are welcome to take up the resort's offer of bicycle hire. The resort also features.. 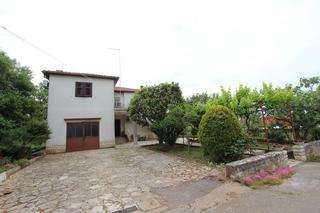 The Family House is located in peaceful district, but just 5-10 minutes walking to the center. It offers Rooms and Apartments for your comfortable staying in beautiful Rovinj. 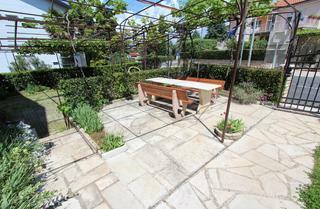 Shared garden and private parking are available for guests. Location. Valamar Club Tamaris is located near the beach in Tar's Porec Coast neighborhood and close to Novigrad Harbour. Additional area points of interest include Baredine Cave and Basilica of Euphrasius. Hotel Features. Valamar Club Tamaris's restaurant serves breakfast, lunch, and dinner. A poolside.. Positioned on the green and peaceful peninsula of Lanterna, the residence features a series of beautiful apartments in 1 or 2-storey Mediterranean villas. Inside are modern and welcoming; outside, the shimmering Adriatic. Providing great accommodation and entertaining space, this smart and well-presented two bedroomed Istrian villa boasts bright rooms, a contemporary kitchen and two hydro massage bathrooms. 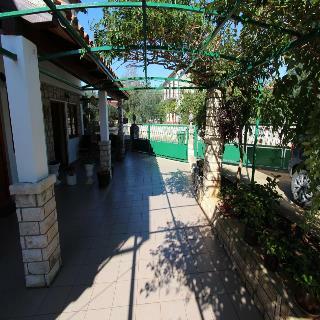 Villa Bozac is beautifully arranged over three spacious floors within a period conversion in Vodnjan. This gorgeous three bedroomed villa, has a cosy attic apartment, sleeps 7 and provides light, contemporary and yet rustic interiors with a 20 m2 terrace, stunning private swimming pool and garden. Location. Hotel Villa Letan is located in Peroj, close to St Blaise's Church. Additional area points of interest include Pula Arena and Temple of Augustus. Hotel Features. Hotel Villa Letan features a restaurant and a bar/lounge. Room service is available during limited hours. The hotel serves a complimentary..
Apartments Villa Monika are situated in famous tourist destination Pješcana Uvala ( Sandy bay - next to Pula ), only 100 metres from the beach. Surrounded by greenery, it offers air-conditioned apartments with a furnished balcony or terrace with sea or garden views. Beautiful Villa with pool located just 8 km outside the pearl of the Adriatic, Rovinj and with the same distance to the magnificent Lim channel.\nThe Villa Consist of 4 bedroom, 5 bathroom, huge living room, fully equipped kitchen with dining area, covered terrace with grill and is air conditioned.\nWI-FI,.. Fantastic Villa Veli is a completely private holiday home, surrounded by green nature, overlooking a vineyard. Beautifully decorated with a lot of care, it will provide you with complete relaxation and tranquility. Pool with grill invites you for a relaxing holiday. Villa Lucia offers accommodation in 4 double rooms with living room, two kitchens, satellite TV and a separate entrance. Quiet surrounding and a big beautiful pool combined with green garden, will make this villa a perfect choice for your family vacation. Offering free Wi-Fi and free private parking, Vintage Villa Holidays provides self-catering accommodation with a furnished terrace. 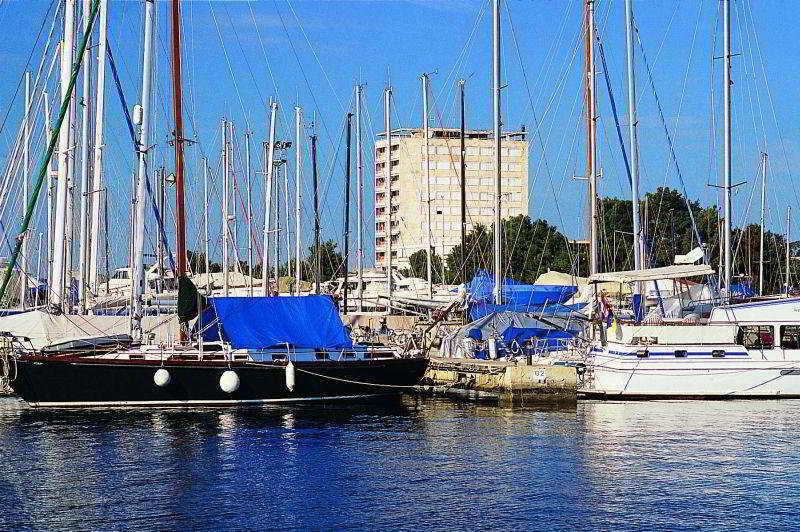 It is located 1.5 km from the historic core of Pula. The nearest beach is 500 metres away. 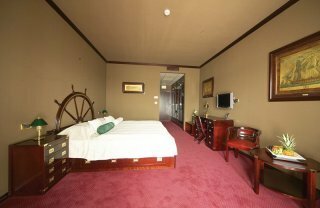 The hotel offers a total of 793 double rooms spread over 5 floors. Amongst the hotel facilities count a foyer with 24-hour reception and a currency exchange desk. Guests are also offered a shop, a cafe, a hairdresser's salon, a bar, a TV room and an air-conditioned a la carte restaurant. 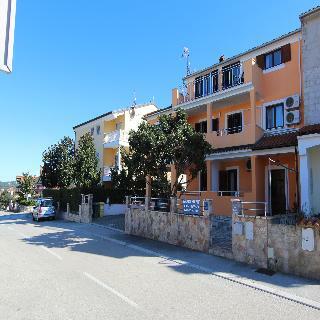 Internet access..
Just 100 m from the blue flag pebble beach, this holiday village with panoramic sea views is situated in Rabac in the beautiful Istria region. The crystal-clear, blue waters of the Adriatic Sea and the rocky coastline make for one of the most spectacular landscapes of the Mediterranean. The towns of..
Its Mediterranean atmosphere and a wide range of additional features provides the ideal atmosphere for a family vacation and relaxation. It also features several services such as a 24h reception desk and Wired internet is available in public areas. Located only 150m from the sea and 3km from the center of Pula that can offer lots of history, tradition, restaurants, bars and shops. There is a bus stop just outside the complex.Punta Verudela consists of 447 apartments located in several independent two and three storey buildings. The facilities are.. This holiday resort features 62 apartments and rooms. It offers everything a well-organized and attractive resort should. It is one of the few resorts by the Adriatic Sea offering such diversity, yet still in harmony with the surrounding nature. This air-conditioned hotel has a 24-hour reception and.. The Villas Rubin complex is located 3 km from the town center the old fishing village Rovinj, on a pebble beach, surrounded by beautiful nature.Among the facilities are pool, water slides, children’s pool, restaurant, bar, snack bar, tennis court, mini golf, beach volley, currency exchange and internet..
Property Location Located in Medulin, Arcus Residence is on the waterfront and close to Bijeca Beach and Kamenjak National Park. This hotel is within the vicinity of Levan Island and Punta Verudela Beach.Rooms Make yourself at home in one of the 86 air-conditioned rooms featuring refrigerators. 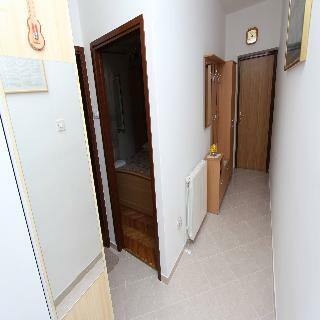 Rooms.. 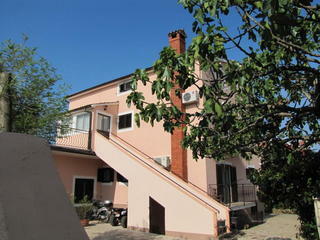 Located in the tourist district of Spadici, with walking distance to the old town of Porec. A mini train is an alternative and departs frequently. Porec has many cultural sights to see, most known is the Euphrasian Basilica, a protected World Heritage Site.The 52 bungalows apartments are surrounded by..
Laguna Zorna is surrounded by a well-tended grass sunning area, situated 5 km to Baredine Cave and the Euphrasian Basilica, the most important historical site in Porec, a protected World Heritage Site, so designated by UNESCO.Services and facilities include: Reception, A/C, restaurant, bar, exchange..
Autocamp Oliva's mobile homes are located close to all the resort's amenities only a five-minute walk away from the pebble beaches, swimming pools or sports grounds. Camping in nature means you can spend each morning on the terrace of your mobile home enjoying the sunrise and spend evenings ushering.. This comfortable hotel offers a three-star standard in 245 comfortable, air-conditioned rooms. One of the many special things this hotel offers its guests is its indoor swimming pool that connects Hotel Hedera to Hotel Narcis, great for swimming in chilly weather. In addition, Hotel Hedera offers a wellness.. The hotel offers a restaurant, lobby and pool bar, reception with internet corner, swimming pool, children’s pool and deck chairs and parasols.Several pebbly and rocky beaches close to the hotel. The closest on is less than 100 m away from the hotel.A wide range of sports facilities are located in the.. The beach hotel comprises a total of 249 rooms spread over 5 floors. In the building, guests will find a reception area with 3 lifts, a newspaper and souvenir shop, a hairdresser's salon, a bar, a cafe, 4 conference rooms and an air-conditioned restaurant. In addition, guests are offered a laundry service,..
Pineta Hotel is located in the suburbs of Vrsar and was established in 1970. It is close to the Vrsar Centre. 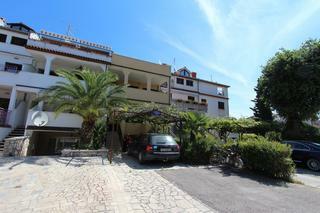 Located near the town.Offers free parking, balcony and a private bathroom with shower,garden. Airconditioned. A restaurant serving local cuisine is just 10 m from the property.Possible breakfast to be accorded on place. The tourist village was partially renovated in 2009, and offers 620 apartments and 66 bungalows. Guests are welcomed in a lobby with 24-hour reception, and additional features include a safety deposit box for a fee, currency exchange facilities, a newspaper stand, a bar and Internet access. The parking.. This is the ideal place for a holiday for families with children and anyone after an active holiday. The air-conditioned establishment was renovated in 2008 and comprises a total of 170 guest rooms and suites spread across 3 storeys. The spa complex welcomes its guests into a lobby with 24-hour reception.. This tourist complex consists of a total of 20 private villas, all with 2 bathrooms and comprises a total of 174 residential units, surrounded by abundant vegetation. Facilities on offer to guests at this holiday village include a lobby, hotel safe, currency exchange facility and a newspaper stand. The.. Situated in the centre of the small and quiet fishing village Fazana, only 20 meters from the sea, Villetta Phasiana offers the experience of peaceful Mediterranean living, far away from everyday stress. The same building, dating from the 16th century, received its first guests more than 100 years ago.. 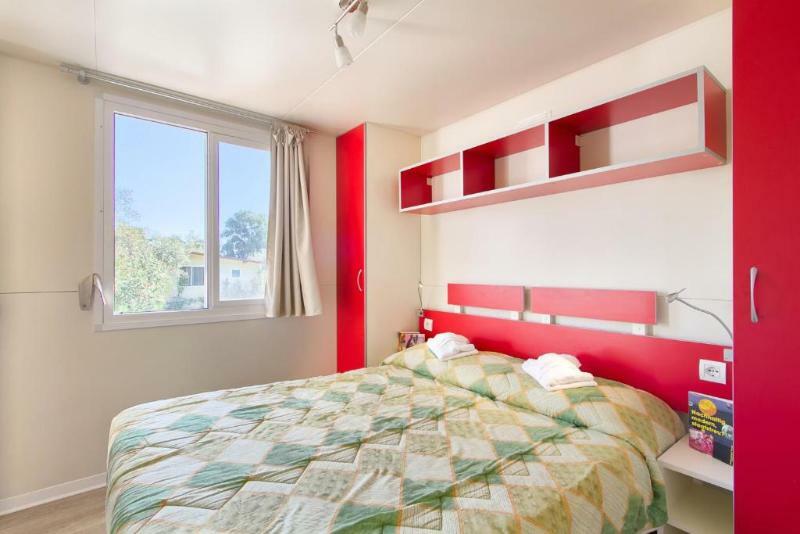 This holiday hotel comprises a total of 257 double rooms spread over five floors. Facilities include a foyer with 24-hour reception desk, a small supermarket, a hairdressing salon, a TV room and hotel safes. Gastronomic needs are catered for by the cafe, the beer cellar, an aperitif bar, a pizzeria and.. Situated in one of the loveliest spots of opatija, the city often called the 'nice of the adriatic', the recently renovated and new design hotel astoria offers exquisite hospitality. Guests will enjoy the outstanding seafront property set on the riviera. The stylish 50 rooms offer all the modern facilities.. Ideally located, in the centre of opatija, near the sea and opposite angiolina park, the historic and charming bristol hotel has been recently renovated according to the protection of historical buildings. All the stylish 78 rooms are very comfortable and offer all the facilities guests can expect from.. Surrounded by beautiful Mediterranean gardens, the modern Casa Palma enjoys a convenient situation in Tar, only 10 km from Porec with its UNESCO-protected Euphrasian Basilica and the Byzantine Mosaic. Various beaches are literally only steps away, while the centre of Tar can be reached within a 5-minute..
Facilities and services include a 24 hrs reception, restaurant, lobby bar, cafe bar, outdoor pool, elevator, wireless Internet in public areas, meeting room, spa extra charge and parking extra charge.The rooms are equipped with air conditioning, TV, telephone, wireless Internet, safe box, hairdryer and..
Facilities and services include a 24 hours reception, wireless internet in public areas extra charge, elevator, cafe bar, restaurants, outdoor swimming pool, indoor swimming pool, children's pool, spa extra charge, fitness center, sauna, sun terrace, kid's club, tennis court, multipurpose field, mini..
Just a few minutes' walk from the main beach, the 2* hotel opatija is located in the heart of opatija itself, surrounded by the serenity and verdant lusciousness of margherita park. In addition to 216 en-suite guestrooms (all equipped with tv), the hotel offers guests the chance to sample some of the.. The hotel Petalon is set just 800 m from the centre of Vrsar, and about 55 km from the airport.The hotel services include a reception, outdoor pool, sun terrace, deck chairs and sunshades for rent, children's pool, pool bar, pub, Internet point extra charge, playground, mini club, souvenir shop.The rooms.. The accommodation units are set in terrace-like arrangements on the hill, with several accommodation units linked in a pavilion-type series. This resort complex comprises a total of 48 apartments. Facilities on offer to guests at this air-conditioned establishment include a lobby area with a 24-hour..
Renovated in 2008, this holiday village is a complex consisting of 422 residential units spread across a number of separate 2 and 3-storey buildings which together create a typical Mediterranean settlement. Facilities on offer to guests at this club resort include a lobby, hotel safe, currency exchange.. 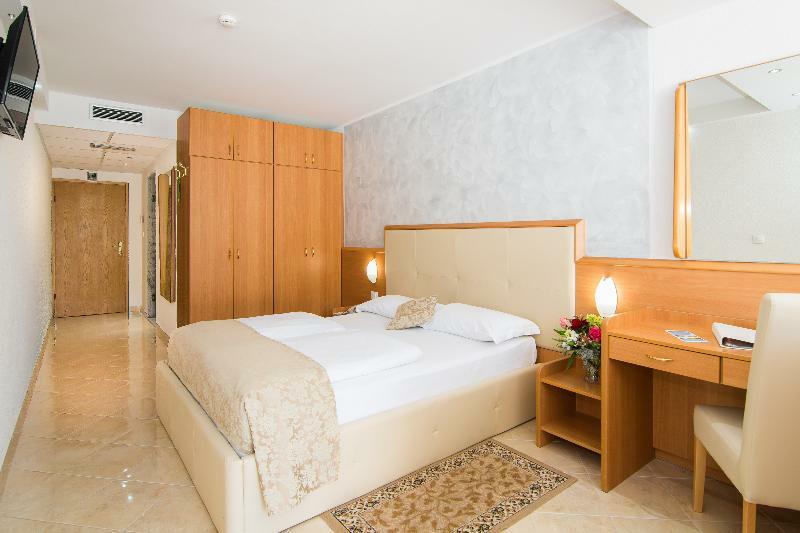 This air-conditioned apartment hotel offers 134 apartments and everything guests need for a memorable Istrian holiday, including beauty, privacy and convenience. Guests are welcomed in the lobby, which offers a 24-hour reception, as well as a hotel safe, currency exchange and a newspaper stand. Additional..
Valamar Crystal is a 4 star hotel renovated in 2009, only a few meters from a pebble and rock beach, the perfect choice in Porec for your family holiday in Croatia. Enjoy the view of the Adriatic Sea while comfortably settled in your hotel room, in the green oasis of a pine forest. Spoil yourself with.. Welcome to the Valamar Riviera Hotel & Residence, one of the most stylish small hotels in Croatia, a perfect choice for luxury holidays, romantic breaks or memorable meetings and events. The hotel occupies front-line position on the quaint quayside of Porec old town, affording beautiful views across.. Already a firm favourite among Porec admirers, the newly upgraded and refurbished hotel is located near the stunning beachfront in quiet surroundings, only a relaxing scenic stroll from the old town of Porec. The tranquil Mediterranean parkland setting and recent extensive renovations that include an..
Facilities and services include a 24 hrs reception, restaurants, lounge bar, outdoor pool, elevator, wireless Internet in the lobby, meeting room, fitness center, spa extra charge and parking extra charge.The rooms are equipped with air conditioning, TV, telephone, wireless Internet extra charge, safe..